Here is the most recent edition of the Stewardship Spotlight newsletter published by the Barnabas Foundation. This particular issue addresses the topic of wills and how to teach stewardship to the next generation. The Barnabas Foundation manages the Highland Christian School Foundation investment portfolio. As a result of our membership with them, YOU have access to their services for no fee/no obligation. 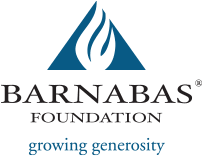 To learn more about the Barnabas Foundation and how they may benefit you, click here. May the Lord bless you as you plan for your family’s future. Individuals and families who include Highland Christian School in their will are eligible for a $150 credit towards their attorney fees. Please contact our Development Director by phone at (219) 838-0356 x165 or by email for more information.